A Boothbay Region High School student is reaching for the stars. 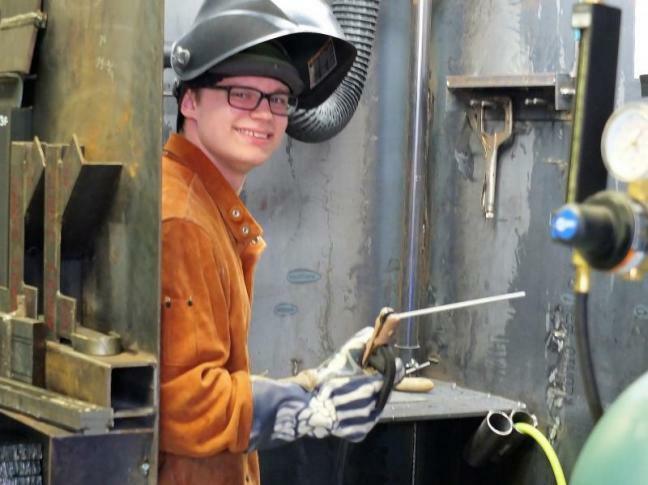 Ben Rumney is a junior attending Bath Regional Career and Technical Center (BRCTC) studying welding. He is a first-year vocational student looking to meld his welding education into a career as an astronaut. After high school, Rumney plans on studying aeronautical engineering at a four-year college. “In welding, you learn about metallurgy, formative metals, and warping. You learn that with molecular level of electron sharing with other metals what’s the strongest (bond). So welding gives me a background in how rocket ships fly. Everything is so precise and there’s no room for error,” he said. Rumney is already setting his future course. This summer, he will work for Pratt & Whitney in Berwick. He will finish high school by continuing his routine of a half day of classes split between Boothbay Harbor and Bath. The plan also includes another stint at Pratt & Whitney before heading off to Troy, New York for college. BRCTC serves four local schools: Boothbay, Lincoln Academy, Morse and Wiscasset. It is one of 27 centers around the state serving about 8,000 students, according to BRCTC director Julie Kenny. Most technical centers educate only juniors and seniors. 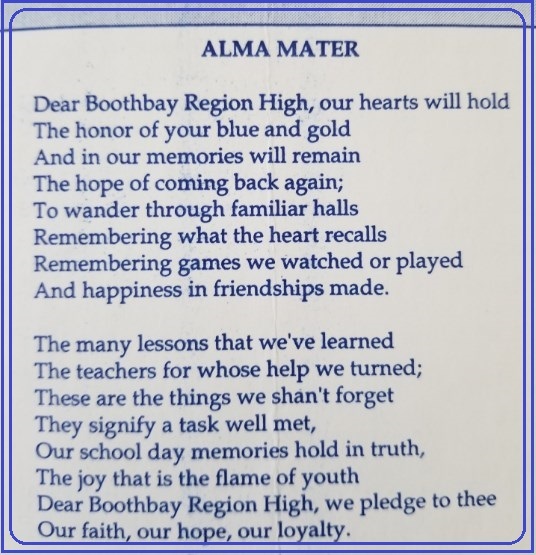 Boothbay sends 18 of its 83 juniors and seniors to the center. And the Bath program, at Morse High School, has 83 students total. This year’s enrollment is well below the school’s three-year average of 170. BRCTC is traditionally one of the smallest centers in the state. Kenny estimated the school’s enrollment ranked 20th out 27 technical centers statewide. Based on the state’s stagnant population growth and aging population, Kenny isn’t surprised to see the school’s enrollment decrease. “The reason is our sending schools have gotten smaller,” she said. Despite the shrinking enrollment, state officials expect technical school graduates to make a big contribution in the future. In 2017, Educate Maine and Maine Chamber of Commerce issued a report stating CTE (career technical education) students have higher high school graduation rates than non-technical education students, are well-prepared for college, and better qualified to enter immediately into the workforce. The report also concluded CTE schools are underused. As employers around the state have struggled for years finding qualified workers, the state’s future workforce is dependent upon young adults possessing skills, training and certification needed to fill these underserved vocations. On March 14, Kenny spoke to the Rotary Club of Boothbay Harbor about the Bath program. She described it as being vital to sustaining Maine’s economy. “By 2025, Maine will need 158,000 more workers credentialed and educated to seize these excellent job opportunities. These positions must be filled to ensure a strong economy for all,” she said. “MaineSpark has the goal of, by 2025, 60 percent of Mainers will hold education and workforce credentials which positions Maine and its families for success.” MaineSpark is a coalition of the state’s educators, nonprofits, and government agencies working toward a 10-year goal of making the workforce productive and competitive. So the number one job for Maine’s career and technical center educators is preparing their students for the workforce, whether that is a job right out of high school or preparing them for a two-year technical college program. In Bath, students aren’t just taught a skill. School officials prepare them for the next step toward a career. Students begin their vocational educational experience with a written goal plan. Administrators assist students with their individualized plan as they matriculate through the two-year program. Students also get help writing resumes and applying for colleges and financial aid for tuition. The Bath center provides eight programs: carpentry, welding, automotive technology, culinary arts, graphic design, early childhood education, electricity, engineering and architectural design, and health science careers. All programs provide certification in several areas vitally important to employers such OSHA (Occupational Safety and Health Administration) certification. “Safety is important in the workplace and having this national certifications and transferable works skills are very important to employers, ” Kenny said. Another happy BRHS student is junior Clarence Burnham. He is in the carpentry program. Like Rumney, the early part of his vocational education centered around safety. It progressed toward learning how to use all the hand tools, before eventually constructing his first woodworking project: a saw horse. Rumney spends his vocational education learning how to weld various metals in various positions (standing, sitting, or lying down). Rumney enjoys the solitude of working by himself in a booth welding. Burnham is working in a group building a house. Burnham learns all the basic construction procedures such as laying a foundation, framing a wall, attaching plywood to the exterior, and roofing a house. The carpentry class began building a house in January and expects to finish it next year. “I didn’t mind the cold. You bring a thick jacket and wear the right kind of boots and gloves. There’s no problem,” he said.